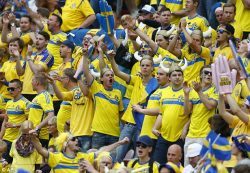 Sweden and Norway were engaged in a qualifier match for Euro 2020. The match was closely contested as both teams played equally well. Ola Kamara, substitute player for Norway scored a goal in the 96th minute. This resulted in a draw between the two sides at 3-3. The game was held on Tuesday, 27th March 2019. On behalf of Sweden, Robin Quaison scored two goals which gave the team a lead of 3-2 before stoppage time. However, Kamara made the last goal to gain a point for his side which made the goal a pulsating one. If the overall performance and points accrued are seen, Sweden is now in second place. This is on the basis of four points gained from the two games they played. They are two points behind Spain who is leading, having won against Malta with a score of 2-0. Norway remains fifth since they have one point in total.